Are you facing a difficult family law issue? Hire Aventura Family Law Attorney and Immigration Attorney at S. G. Morrow & Associates, P.A., for a legal counsel. Learning your legal rights is a key step in helping you solve your family law and immigration-related problems. At the Miami, Florida Law Offices of S. G. Morrow & Associates, we know that when our clients learn their legal rights, they are empowered to make their own decisions. We never pressure our clients into making these changes, but will support their decisions with information and encouragement. At the Law Offices of S. G. Morrow & Associates, our legal work is based on the philosophy that clients are our number-one priority. We make clients a priority by listening, providing education, and supporting you in your legal decisions. 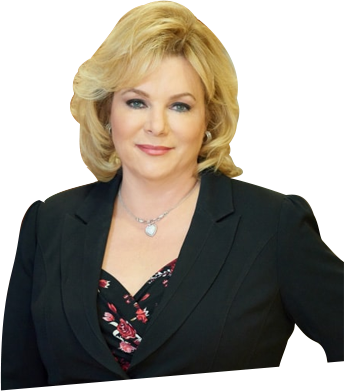 Our attorney, Stephanie G. Morrow, works with each client individually. She will listen to your concerns and protect your rights throughout the legal process. At the Law Offices of S. G. Morrow & Associates, we handle a wide range of legal issues, including family law and immigration matters. Whether you want to file an uncontested divorce or modify your alimony plan, we will help you find a solution that works for your entire family. If you have immigration or international family law concerns, we can provide you with options. We work to help individuals, couples, and families create solutions that are best for them. Aventura Family Law Attorney Morrow has more than 20 years of experience handling immigration and family law concerns in Southern Florida. She is listed in Strathmore’s Who’s Who, a registry of outstanding business professionals. At the Law Offices of S. G. Morrow & Associates, we handle a wide range of family law issues, from divorce and divorce-related issues such as child custody and child visitation to spousal support and distribution of property. We also handle domestic violence matters, post-divorce modifications, child support, and alimony without divorce, annulments, military divorces, and paternity. Our office focuses on helping families like yours create solutions that are best for you and your children. A mother herself, Aventura Family Law Attorney Morrow understands. For family law or immigration law counsel that makes clients a top priority, contact the Law Offices of S. G. Morrow & Associates today. Our law offices provide legal services in Spanish and English. Hablamos español.